Origin Native to tropical Mexico, Northern South America and Central America. It is widely distributed on subtropics and tropics where it was cultivated extensively and as far as north and south as 32°latitude. Papaya is an herbaceous plant which belongs to the family Caricaceae and was originated in Central America and also cultivated in tropical areas of the world for its sweet and large melon like fruits. 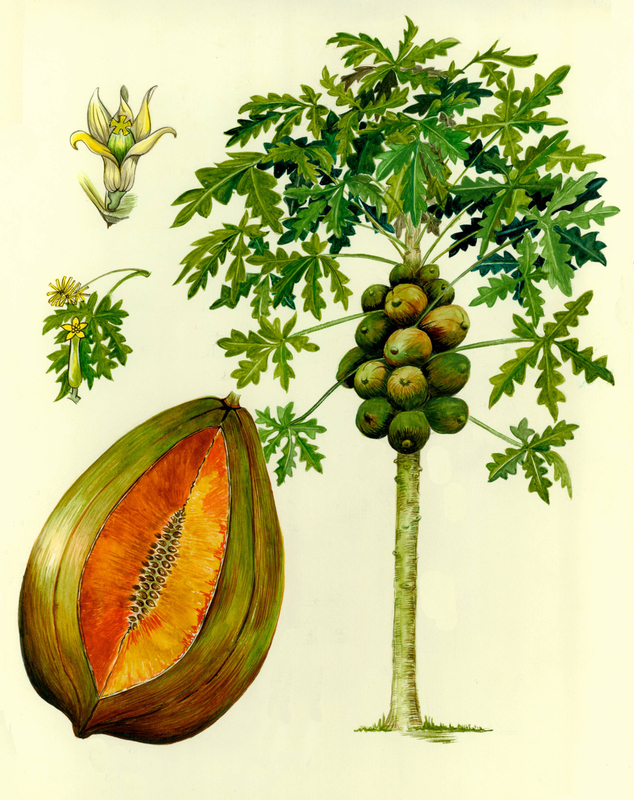 The term papaya also specifies the fruit of other Carica species such as C. stipulate and C. pubescens and their various hybrids. 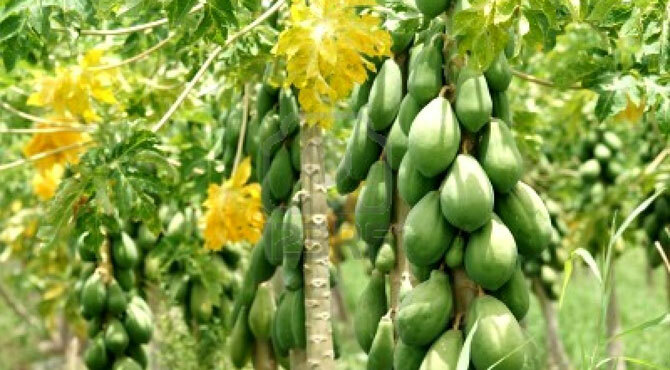 Papaya is also known as Mamon, Melon-tree, Paw paw, Pawpaw, Tree melon, Mummy Apple, Mamão and Melon Tree. The plant has hollow and green or purple stem which grows up to the height of 1.8-3 m in a year and could reach to the height of 6-9 meters. Leaves have long petioles which measures about 30-105 cm long and 30-60 cm wide and is divided deeply into 5 to 9 main segments and are lobed further. The stems and leaves produce large amounts of white and milky latex when injured. The plant is adaptale to various soil types such as rocky volcanic soils, calcareous soils, peat soils and acid sulphate soils but prefers well-drained, friable, moist, light soil, organic matter rich, loams and sandy loams. 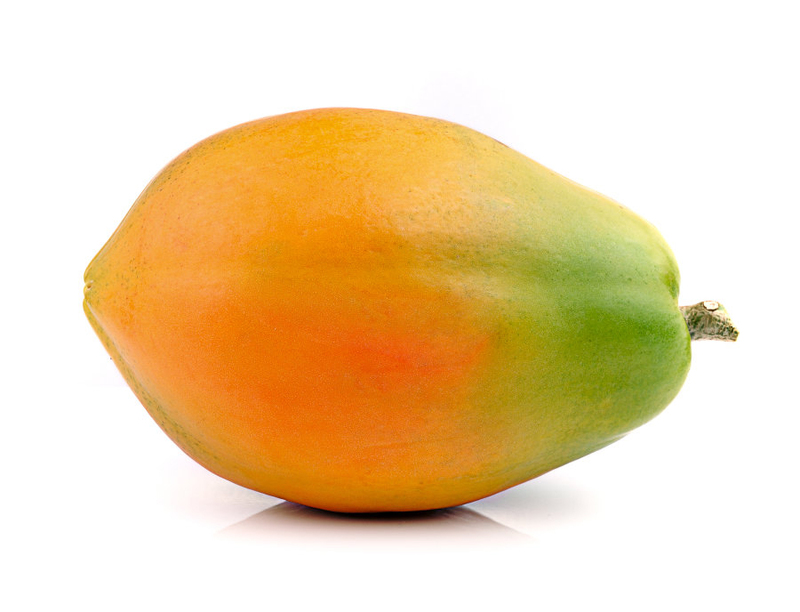 India is regarded as the highest producer of papayas which produces 42% of the world’s crop. Brazil, Indonesia, Nigeria and Mexico are the other major producers. Papaya was naturalized in Cuba, Bahamas, Grenada, the Dominican Republic, Haiti, Guadeloupe, Martinique, Jamaica, Saint Vincent and the Grenadines, Puerto Rico, Trinidad, the U.S. state of Florida, the U.S. Virgin Islands, Tanzania and Malawi. 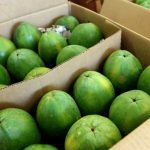 Papayas grown in Florida are affected by various pathogens, pests including mosaic viruses which were transmitted by aphids including Myzus persicae which took away most of the commercial plantings there. Papaya is loaded with nutrients and could be found throughout the year. It is rich in antioxidants Vitamin A, Vitamin C and Vitamin E, potassium, magnesium and minerals, fiber, folate and panthotenic acid. Moreover, it possesses digestive enzyme papaintha which is used for treating allergies, trauma and sports injuries. The nutrients found in Papaya helps to promote cardiovascular system, protect heart from strokes, heart attacks and also prevent colon cancer. This dioecious plant produces short-stalked female flowers having waxy, white five petals that are borne in separate plants. The shape of the fruit varies in the flower type. Fruits which are developed from female flowers have oval to round shape whereas the fruits developed from perfect flowers are cylindrical or club shaped and measures about 50 cm long and 20 cm wide. Fruit weighs upto 9 kg. Unripen fruits have latex which abandon as the fruit ripens to color light or dark yellow. Fruit has yellow to orange to red flesh which is juicy and thick with a central core containing many small black seeds. Plants bear fragrant flowers of white or cream coloured. Male flowers form on long peduncled, pendulous racemes and measures about 30 to 100 cm long. 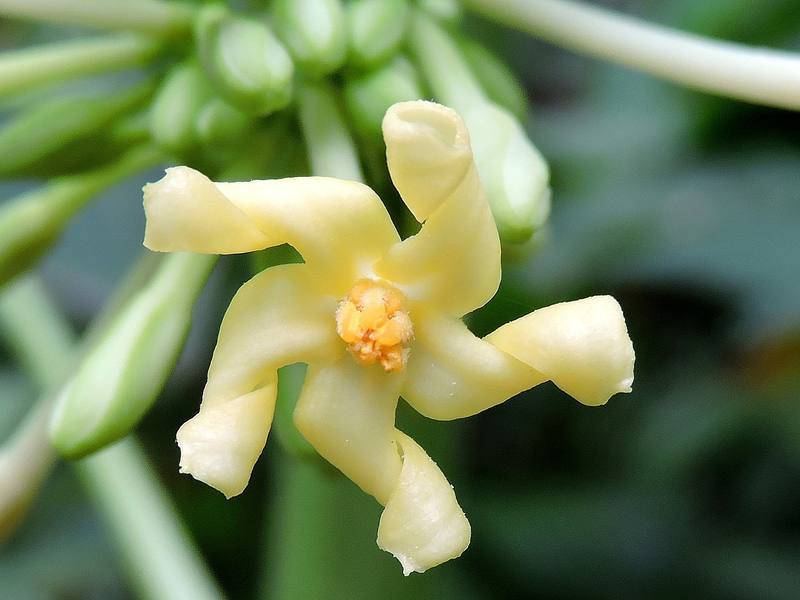 Flowers are borne in clusters and consist of five lobed calyx as well as creamy yellow corolla tube. In female plant, flowers (female) are solitary, axillary on short stalks which consists of small, five twisted, five lobed calyx, obtuse petals, pale yellow lanceolate, large ovary which bears five dilated and subsessile stigmas. An ovary is one celled, globular which consists of numerous ovules that are attached to five parietal placentae. 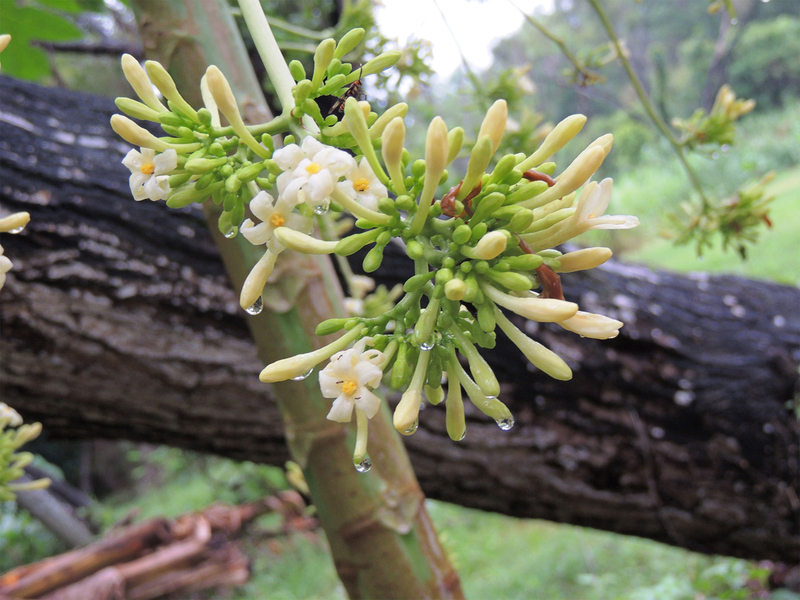 Flowers then convert into ovoid to obovate fruit which measures about 50 cm (20 inches) long and 20 cm (8 inches) wide. Fruit have yellow or orange skin with yellow or orange flesh. Inner core contains black and wrinkled seeds. Seeds are oval in shape measuring 2 mm in diameter which is enclosed in mucilaginous membrane. Papaya is native to tropical America, Central America and Southern Mexico. Seeds were brought to Panama and then Dominican Republic before 1525. The cultivation spread to warm altitudes in South and Central America, Bahamas, West Indies and Southern Mexico and to Bermuda in 1616. It reached to Philippines in 1550 and then reached to Malacca and India. 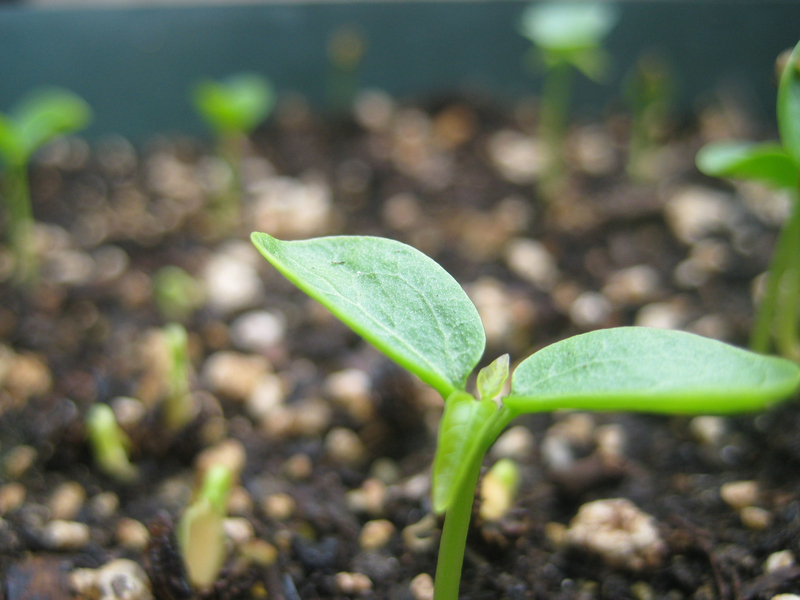 In 1626, seeds were sent to Naples from India. Papaya is well known to all tropical regions of Old World and Pacific Islands and has got naturalized in many areas. It was brought from Bahamas to Florida. Till 1959, papaya was cultivated in Southern and Central Florida. Today it is commercially produced in Hawaii, the Philippines, tropical Africa, Ceylon, India, Australia and Malaya but produced in smaller scale in Latin America and South America. Papaya has become the leading fruits of Southern Mexciso and 40% of the crop in this country is produced in Veracruz on 14800 acres which yields 120000 tons annually. Fruits produced from bisexual plants have cylindrical or pyriform having small seed cavity and thick wall of firm flesh. Fruits produced from female flowers are round to oval and thin walled. Bisexual types in some areas are highly demanded. South Africa prefers round or oval papayas. 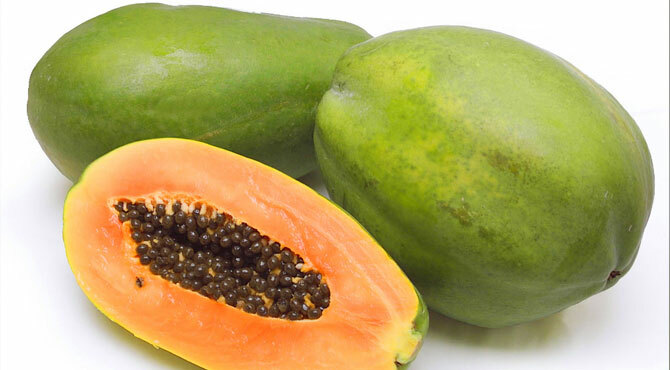 Papayas are grown in tropical climates and also called pawpaws and papaws. Apart from their sweet taste and vibrant color, it is loaded with enormous health benefits. This exotic and rare fruit could be found all times of the year. One serving of papaya provides 144% of daily recommended value of Vitamin C that helps to counteract infection and free radicals. Vitamins such as pyridoxine, folic acid, thiamin and riboflavin found in papaya are essential for the body. Papaya helps to lower the chances of diabetes, heart disease, promote blood glucose control in diabetic patients, aids digestion, improve healing of wounds and lowers blood pressure. This soft and fleshy fruit could be used in various ways for culinary purposes. It is an aid for health ailments such as heart disease, atherosclerosis and rheumatoid arthritis. It also possesses flavonoid beta carotene which protects mouth and lung cancers. It also contains other flavonoids such as zeaxanthin, lutein and cruptoxanthins that provide antioxidant properties which counteract free radicals that are the cause for degenerative diseases and premature aging. 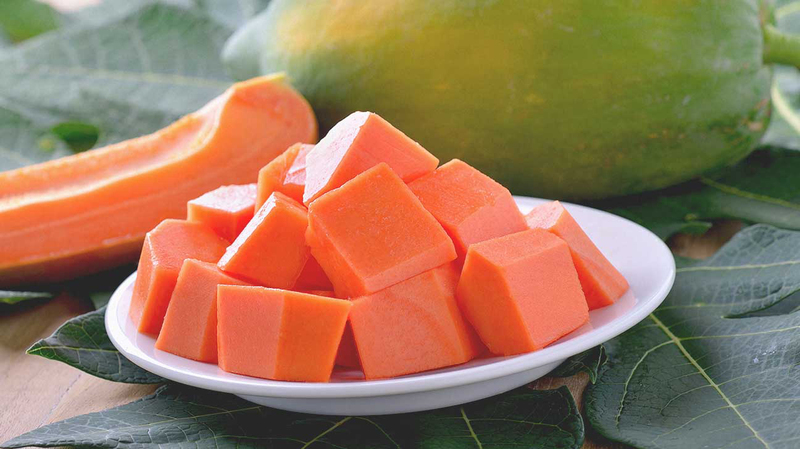 Papaya has chymonpapain and papain which helps to support digestion, cleanse colon and prevent constipation. It helps to heal and prevent stomach ulcers. Leaves have high content of amylase and protease which break down proteins, minerals and carbs that supports digestion. An anti-inflammatory property helps to lower inflammation of colon and stomach. The juice is helpful to cure peptic ulcers by eliminating bacteria H. Pylori due to its antimicrobial properties. Women with lower abdominal pain and menstrual cramps might ease pain and menstrual flow with leaf juice of papaya. Consume the juice to soothe PMS symptoms. Their healing property balance hormones and also regulates menstruation cycles. Prepare the concoction by boiling a glass of water adding one papaya leaf, a pinch of salt and tamarind. This concoction might be helpful in easing menstrual pain. Leaf juice of papaya has high content of Vitamin A and C which promotes skin health and provides healthy and radiant skin. The juice restrains the activities of free radicals. Karpain compounds inspect the growth of excess micro-organisms, cleanse toxins from skin and prevent skin problems such as freckles, pimples and acne. Papayas have high content of Vitamin A, flavonoids such as zeaxanthin, beta-carotene, lutein and cryptoxanthin which assist mucus membranes in eyes and prevents from being damage. Vitamin A prevents macular degeneration which is an age related loss of vision. Papaya has carotenoids similar to carrots and tomatoes. Arthritis is a incapacitate disease which lowers the quality of life considerably. The consumption of papayas are helpful to maintain bone health due to the presence of anti-inflammatory properties and Vitamin C that assist to prevent formation of arthritis. The study shows that people who intake foods which are low in Vitamin C have three time more chances to suffer from arthritis. Vitamin C helps to lower the chances of heart attacks that help to prevent arteries from damage. It lowers the damage caused by free radicals as well as oxidation of cholesterol by lowering the chances of cholesterol forming plaques on artery walls. The diets having low content of Vitamin C have greater chances of development of stroke or heart attack. Folate converts substance associated to heart attacks named homocysteine into benign amino acids lowering chances of cardiovascular problems. 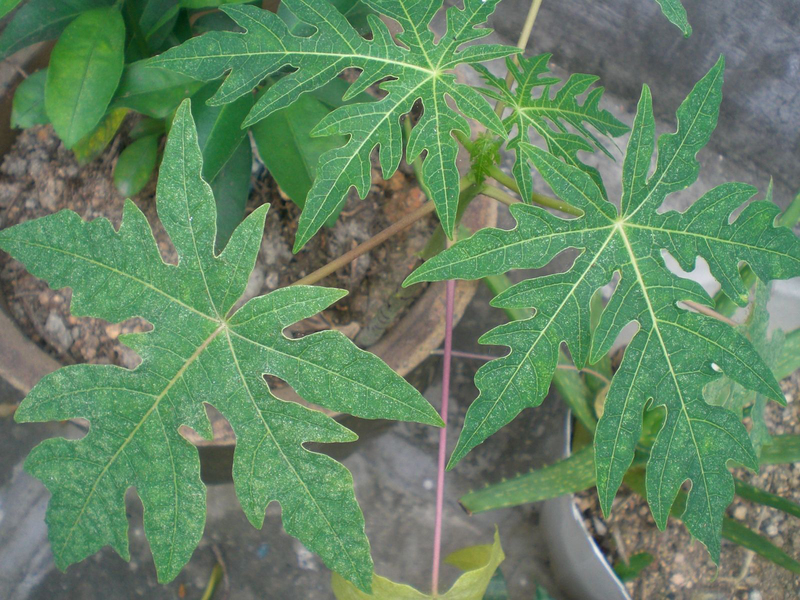 Leaves of papaya are used for treating dengue fever which is a harmful viral infection from mosquitos in tropical areas. One study shows that when the mixture of leaves with water was consumed by the patients twice in a day have significant lower in viral activity after five days. In Tahiti and Hawaii, poultice made from papaya skin is used to heal wounds because the skin has high content of papain. The application of poultice to the skin helps to cure rashes, burns and bug bites. 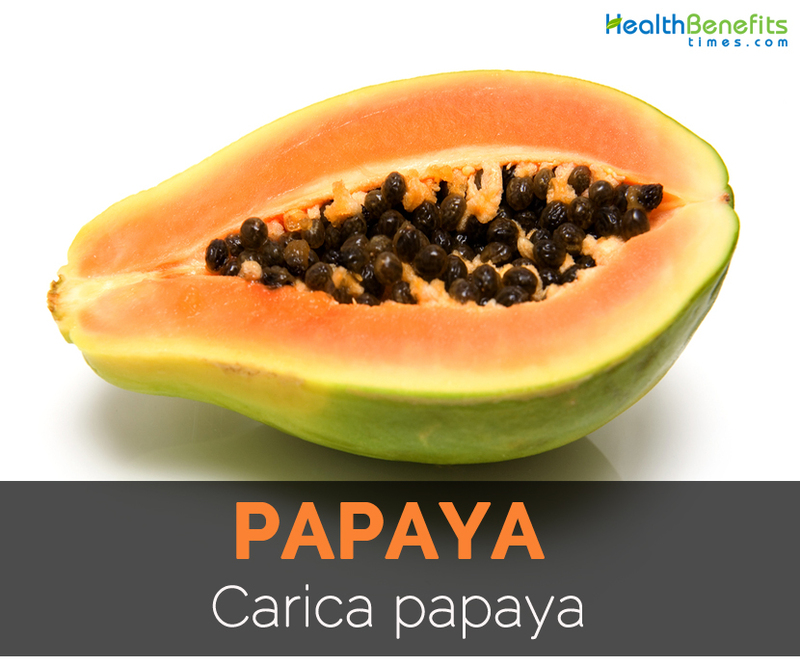 Papain is used for treating viral and fungal infections of skin such as ringworm and warts. 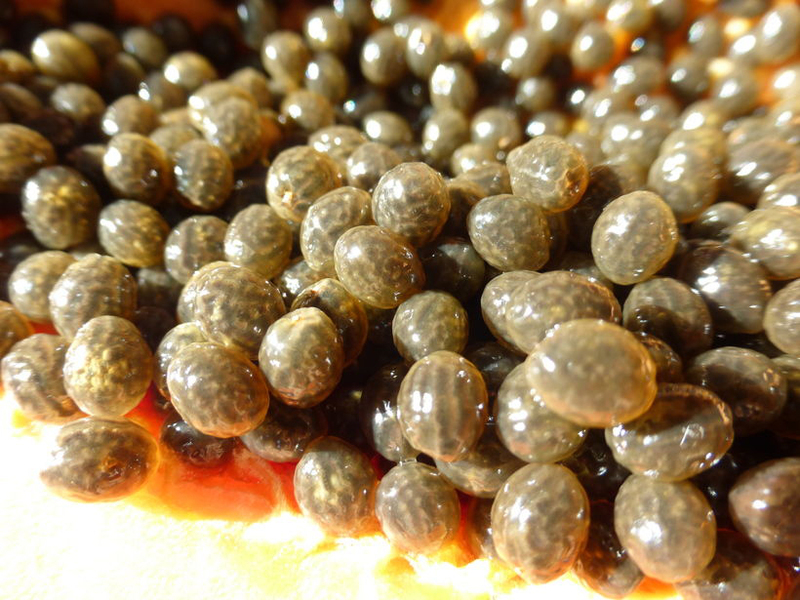 It eradicates layer of protein which protect fungi and virus against attack by lowering its ability of reproduction. Papayas certainly are a big, pear-shaped fresh fruit indigenous to Central America. Even though virtually every exotic as well as subtropical nation develops them, just Mexican as well as Hawaiian papayas are standard in North America. 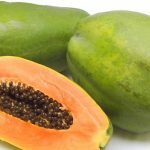 Hawaiian papayas are definitely the range usually available in American supermarkets and therefore are smaller sized as well as more gratifying when compared with Mexican papayas. Every group is even more split into types known as cultivars, which each have a definite dimension, shade as well as taste. 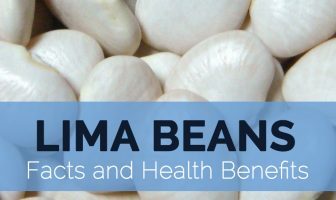 There’s hardly any dietary distinction between the various types, all of which are loaded with vitamin A, C as well as vitamin B folic acid. 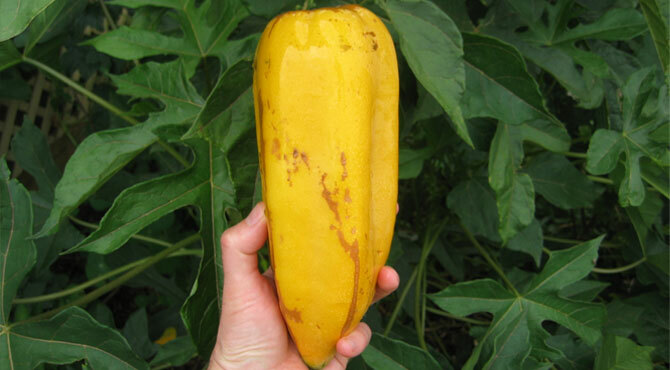 The Solo papaya was brought to Hawaii through the Caribbean island of Barbados around 1911. 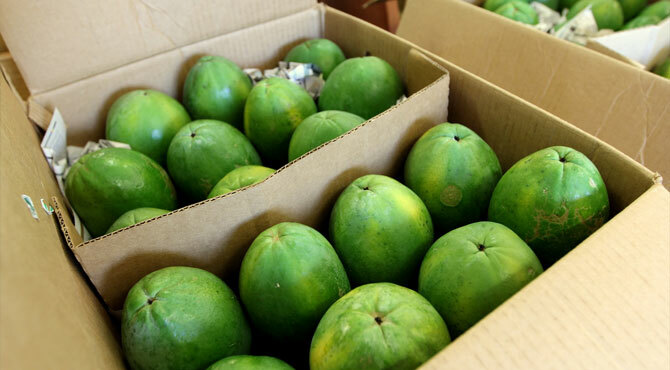 Out of this fruit, horticulturists created Hawaii’s most typical industrial cultivar, the Kapoho papaya, which in turn now is liable for the vast majority of its exports. This is actually the most typical range present in American grocery stores because of its fairly sweet, golden flesh and it is average weight, which is generally below 1 1/2 lbs. This particular papaya includes a fruit which has a reddish-orange flesh. This is a great quality in flavor as well as structure. This papaya is regarded as the frequently found within the tropics. Like every some other papaya, it has the design this way of the pear. Sunrise, also known as Sunrise Solo, averages 22 to 26 oz. and possesses reddish-orange flesh along with a short seed indent, which usually helps the removing of the various black color seeds. This particular range is well-known in foreign countries, yet less extensively exported through Hawaii, where it really is eclipsed from the Kapoho. The Sunset papaya is often a bit smaller range exactly likes the Sunrise, however with stronger flesh. 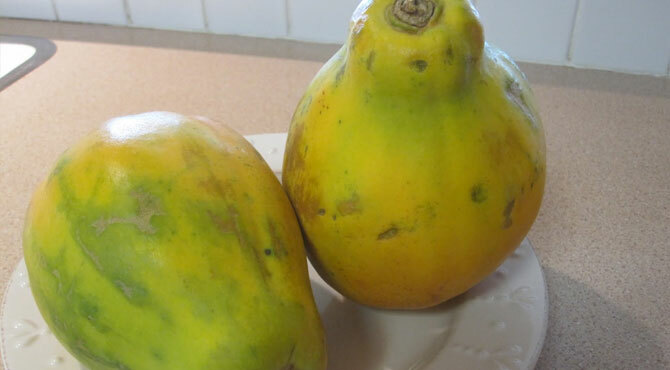 The Waimanalo and its particular more modern variance, the Kamiya, have got firm, extremely sugary fruits, together with yellow-colored flesh. They’re rounder when compared with some other kinds and greater than various other Hawaiian papayas, averaging 16 to 39 oz. 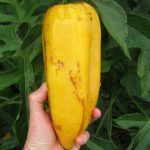 Because they’re heavier and much less rewarding to export compared to Kapoho papaya, they may be are cultivated as well as spread mostly to the island of Oahu. The Mexican Red as well as Mexican Yellow papayas are moderate to large fruits, which can be tasty as well as firm, yet too big to easily export. The Mexican Red is red or reddish-orange on the exterior and has now similarly tinted flesh. The Mexican Yellow tastes just like the Red, however its golden flesh is usually stronger. These types of fruits can weigh a lot more than 10 lbs. Babaco relates to the papaya. Babaco is indigenous to the Andes of northwestern South America from Colombia south to central Chile. The fruit develops in bundles around the stem of the babaco tree. Babaco includes a cylinder-like form. Skin is yellow-colored and also the fruit has got succulent yellow flesh without having seeds. The flavor is refreshing as well as sugary and could be considered a mixture of strawberry as well as melon. The fruits are small compared to the papaya, broad pear-shaped, dull and much more fragrant in comparison to the papaya. 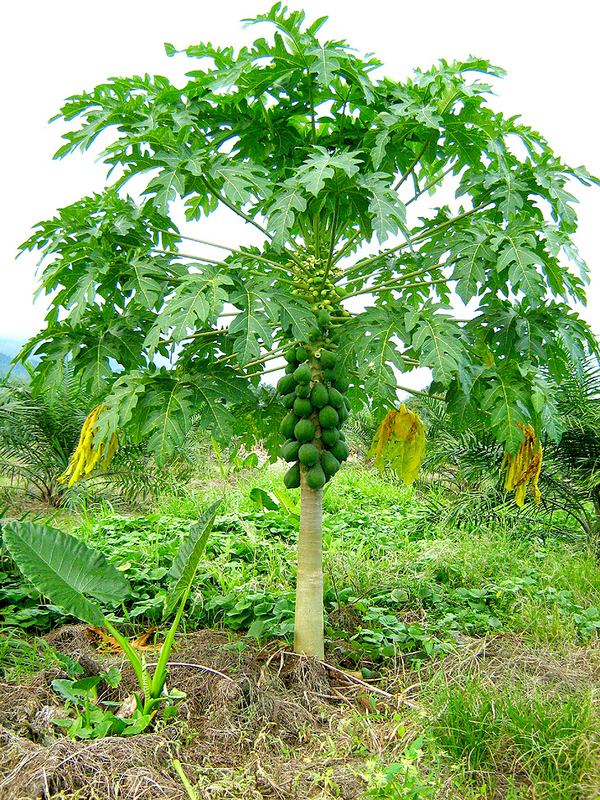 The Kamiah papaya is among the cultivars of papayas. 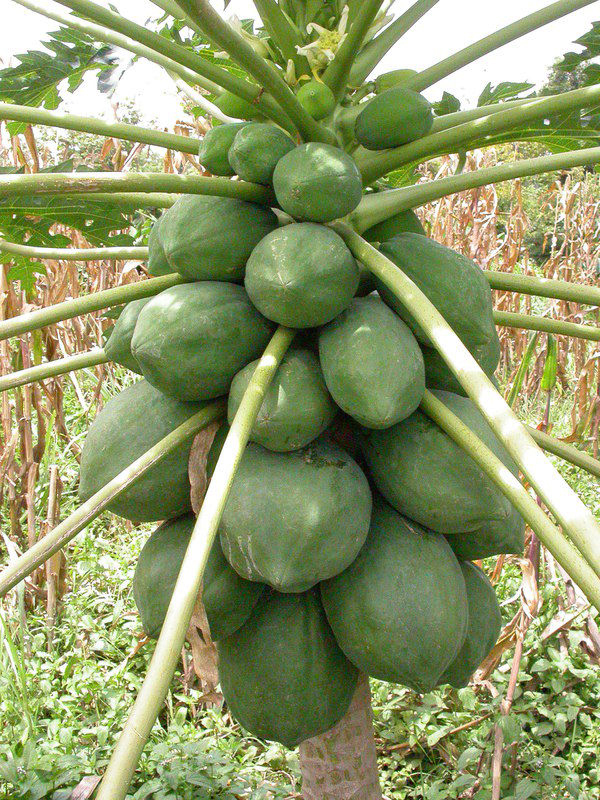 This sort of papaya is widely known because of its much more round form as compared to the majority of the papayas. The truth that it truly is more rounds as opposed to others signifies that this papaya bears much more flash within it when compared with another number of Papayas. However, this type of papaya is really a genetically designed fruit to provide much more fruits and much more yield in barely one fruit. The ripeness of the papaya doesn’t depend upon the color of the skin. The ripeness can be discovered in case the skin deliver to the pressure applied through the finger. 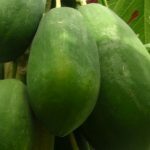 In addition, this particular genetically designed papaya is much more resistant against viruses, reducing the expense of the growers. Even so, genetically engineered papayas haven’t been noticed for enough time to supply the side effect on the intake of GMOs. For the meanwhile, this particular papaya may benefit the farmer’s land. 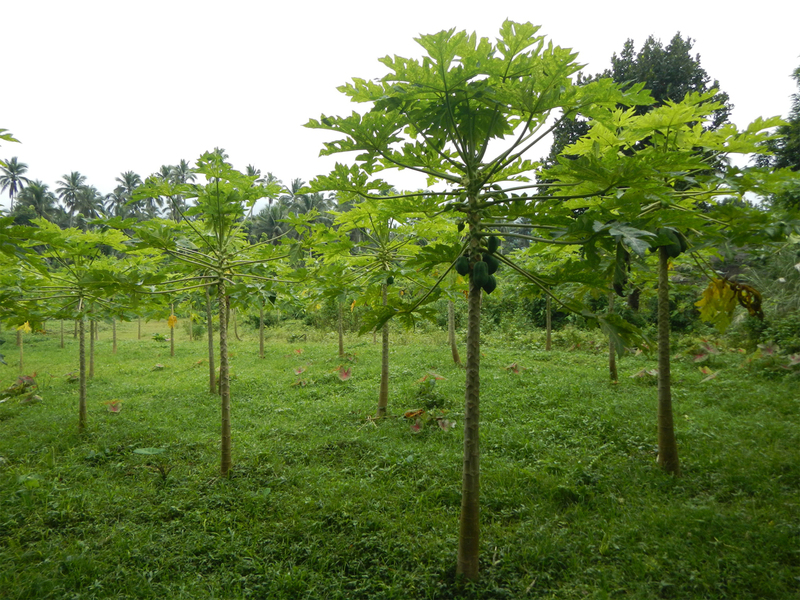 Standard as well as organic farming may also be placed on this papaya because this plant doesn’t need very much as well as standard farming has additionally been shown to be efficient. Raw papaya is toxic to pregnant women because it could cause to unwanted termination of pregnancy. It triggers contraction of uterine. The uterine contraction causes miscarriage, absorption, birth defects, premature delivery and sometimes stillbirth. Moreover, papain found in leaves acts as prostaglandin and oxytocin which induces labor and promote contractions. Due to this risk, papaya consumption should be avoided by women at the time of pregnancy especially raw ones. Papaya has beta carotene which is great for eye health as it promotes eyesight and prevents the chances of macular degeneration. Excessive consumption of beta carotene causes skin discoloration of skin, soles, palms and eye white could turn to yellow color like jaundice. It is known as carotenemia. High consumption of carrot also causes carotenoid due to the high presence of beta carotene in it. Papaya has papain which provides various health benefits like providing anti-inflammatory properties, making healthy digestive system but papain being a strong allergen is harmful for respiratory system. The high intake of papain enzyme provide respiratory problems like wheezing, obstructed breathing, hay fever, congestion of nasal passage and asthma. Papain enzyme causes asthma so it is important to keep it in moderation. Being a great source of Vitamin C, papaya acts as antioxidant which protects skin cells from premature aging, boost immunity system, chances of cancer development and also regulates blood pressure. 100 grams of papaya provides 60.9 mg of Vitamin C. Vitamin C being water soluble Vitamin C and body excrete out the excess of Vitamin C that burdens kidneys and too much vitamin could be harmful which could lead to formation of kidney stones. Papaya is great for digestive health which provides numerous health benefits such as provide relief from constipation, digestive system healthy, cleanse digestive tracts, smoother digestion and others. Consume papaya in moderate amounts because excessive papaya makes digestive system upset and leads to problems such as abdominal cramp, stomachache, flatulence, bloating and nausea. Papaya might be beneficial as well as harmful for stomach ulcers because it prevents stomach ulcers and also heal stomach problems due to various nutrients and digestive enzymes found in it. It promotes secretion of protective mucus in stomach and speed breakdown of protein which lowers the time hydrochloric acid remains in stomach. It is harmful because papain found in papaya especially green ones raise the chances of digestive ailments and could worsen the existing condition of stomach ulcers. One should consult the doctor before adding papaya to diet. Papaya is unsafe for nursing women because enzymes found in papaya provides harmful effect on infant health. So it is better to consult the doctor before use and follow their advice. 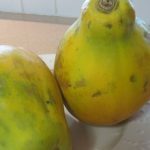 Papaya should not be used by the people who are taking anticoagulant medicines such as warfarin and aspirin due to the presence of papain enzymes. These medicines assist blood thinning and the papain also provides the same effect. So it increases the chances of bleeding and bruising. The people having surgery in few weeks should not consume papaya because it might interfere with healing of wounds. The people having blood clotting conditions such as thrombosis and hemophilia should not use papaya. Being great source of Vitamin C being an antioxidant is beneficial for skin health and provides numerous benefits to skin. It is used as ingredients in anti-aging creams. It might not be suitable for every skin type and some people experiences dry and itchy skin and even rashes. Creams and moisturizer including papaya might not suit their skin so it is better to test in small quantity. Though papaya provides numerous benefits, it might not suit some individuals that are allergic to papaya and they should avoid its consumption. Moreover, the people with asthma and allergic problems should be careful about consuming papaya. It causes allergic reactions such as swelling of face, mouth, itching in throat and mouth, headache, rashes on tongue and mouth, difficulty in breathing and abdominal pain. 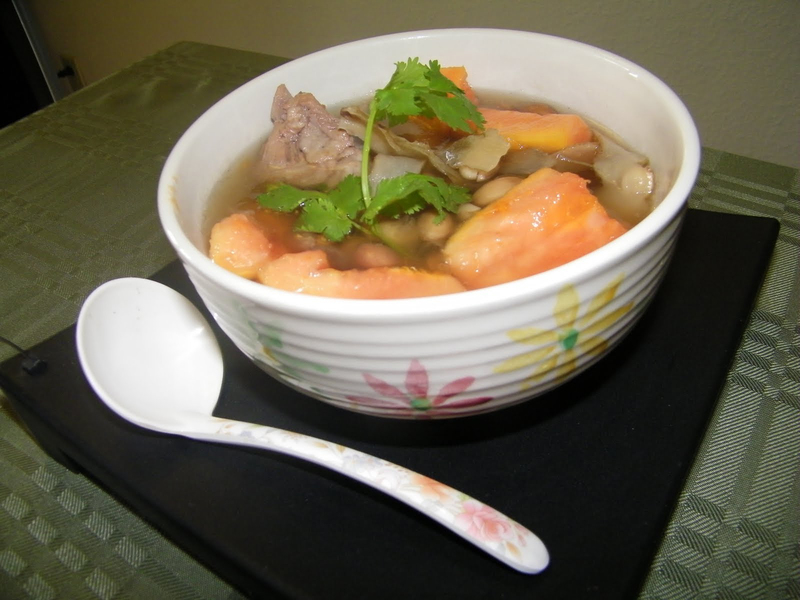 Due to the presence of papain, it supports digestion. It is used as medicine for treating ulcers and lower skin adhesions. 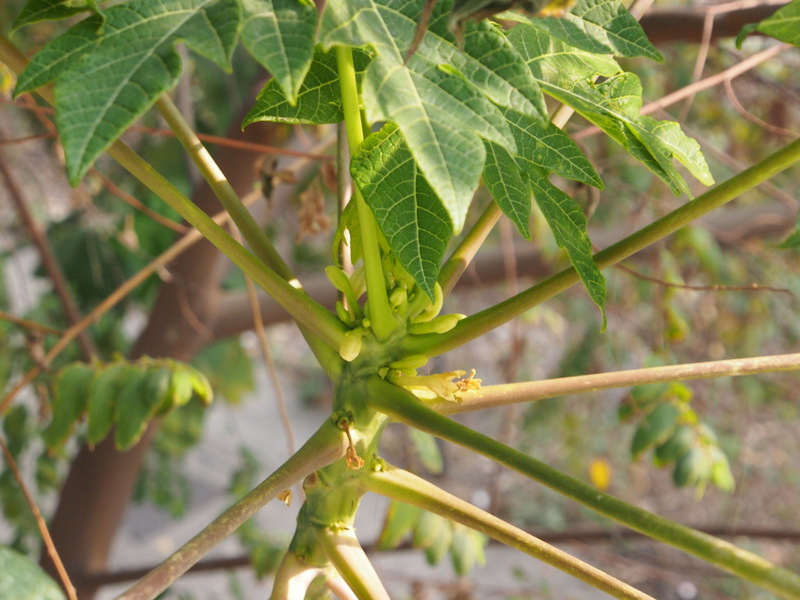 Leaves of Papaya are prepared as tea and used to treat malaria. It is believed as a cure for dengue fever. Apply papain topically for treating rashes, cuts, burns and stings. Papain have been used for gastric affections, flatulence, excess unhealthy mucous in stomach, constipation and intestinal irritation. It is also used to treat arthritis. Papaya pills are used as natural antacids to provide relief from constipation and ulcers. Latex possess papain so, it is useful for ringworm, psoriasis and also prescribed for elimination of cancerous growth in Cuba. In India, it is applied to oesoteri to induce abortion. Apply the latex of unripe fruit or trunk externally to scalds and burns. Ripe fruit possess laxative, stomachic, carminative and digestive activity. Juice of papaya is used to treat corns, warts, sinuses and also chronic skin problems such as cutaneous tubercles, scaly eczema, irritation and hardness of skin. It is used in cosmetics for eliminating freckles. In Philippines, the mixture of mashed ripe papaya and kalamansi juice is used to cure acne. Papaya juice is useful for ulcerations, glossal fissures, epithelioma, ulcers of mouth, throat and tongue. Consume ripe fruit regularly to ease constipation. It is helpful for dyspepsia and bleeding piles. Javanese believe that the consumption of papaya helps to prevent rheumatism. Unripe fruits are used to treat hypertension, malaria, hypercholesterolaemia, diabetes mellitus, intestinal helminathiasis and jaundice. Papaya juice helps to stimulate immune system. In India, seeds are chewed for freshening breath and also used to treat flatulence and piles. It is believed to quench thirst. Take dried pulverized seed to treat worm infestation. 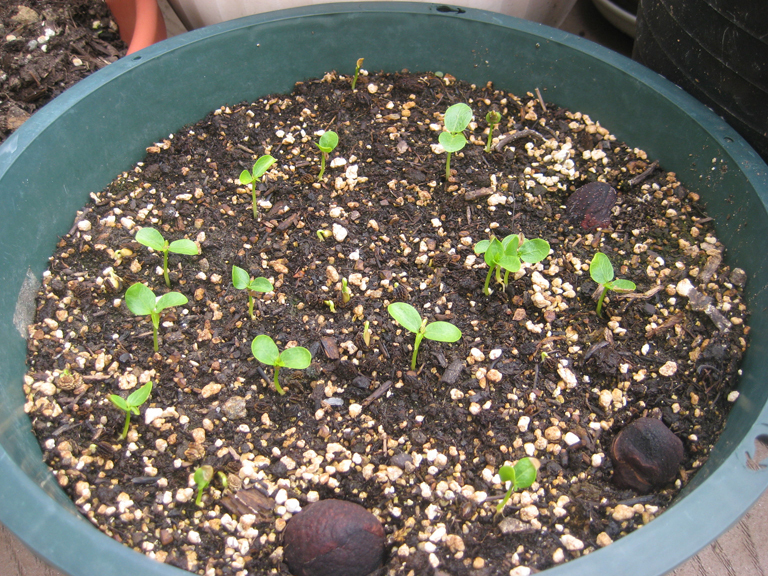 In West Indies, seeds powder is used as vermifuge. Leaves are used as a tonic for heart and used to treat gastric problems, amoebic dysentery and fever. In Philippines, the poultice made from leaves are used to treat rheumatic complaints. Leaf decoction is used as an aid for asthma. The infusion made from dried leaves is used to cure stomach ailments in Gold Coast. Make tea decoction from dried leaves for cystitis and stomach problems. Use the decoction made from boiled flowers or powdered seeds to stimulate menstruation. The infusion prepared from male flowers and honey is useful for hoarseness, cough, laryngitis, bronchitis and tracheitis. Flowers are used as a cure for jaundice. The decoction prepared from roots is used to cure dyspepsia. Roots are used for piles and yaws. In Gold Coast, roots are used as abortifacient. Inner bark is helpful for sore teeth. Use the poultice made from roots to centipede bites. Prepare sinapisms from root and use it for tumors of uterus. In Africa, infusion made from root is used as a treatment for syphilis. Root infusion is helpful to eliminate urinal concretions. 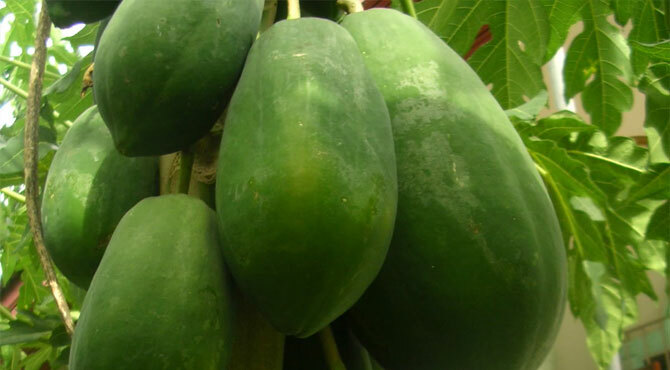 Unripe papaya causes irritation and might aggravate allergic reaction. It should not be consumed by pregnant women as it might result in miscarriage. Overconsumption of Papaya results carotenemia which is the yellowing of soles and palms. Papayas are added to desserts and fruit salads. The fruit is also used to prepare jams, juices and also dried. Unripe fruits are cooked as vegetables. Steep the ripe fruits in vinegar and sugar and make crystallised fruit slices. Add unripe fruit to salad, curries, stews and soups. 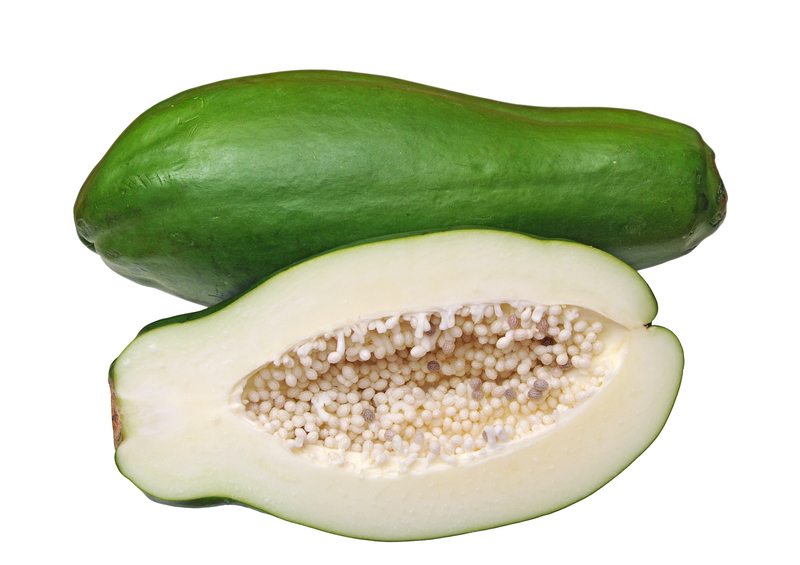 In Philippines, green fruit is used as a pickle called hachara. Tenderize beef, pork and fish with juice and flesh of green fruit. In South east Asia, flowers are consumed as vegetables. Leaves are cooked as spinach and also added to curries. In Pacific islands, leaves are used as tenderizer by wrapping meat and octopus in leaves. Add papaya seeds (crushed) to spicy meatballs or also used as a marinade for meat. It goes well with chicken and savory seafood dishes. 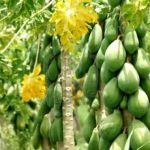 India is the major producer of papayas producing 42% of the world’s crop followed by Brazil, Indonesia, Nigeria and Mexico. Native Native to tropical Mexico, Northern South America and Central America. It is widely distributed on subtropics and tropics where it was cultivated extensively and as far as north and south as 32°latitude. Calories in 1 cup mashed (230 gm) 99 Kcal. Calories 99 Kcal. Calories from Fat 5.4 Kcal. Calories 142 Kcal. Calories from Fat 3.42 Kcal.